There are many types of dry feed available on the market for Guinea Pigs, but the best is the complete nugget style rather than the muesli. Guinea Pigs will eat the bits they like out of the muesli and are therefore in danger of not getting the correct balance of nutrients and vitamins. In the wild Guinea Pigs have to work for their food. which means they have to eat a great deal of roughage, which is why it is very important that they are provided with hay and grass daily. This also helps to maintain healthy teeth. 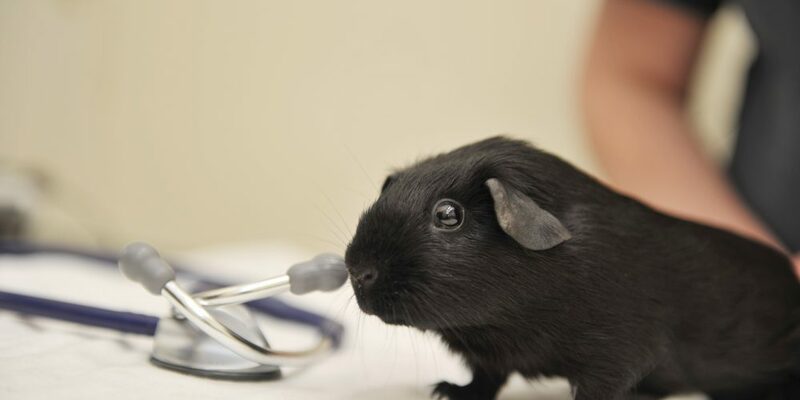 Guinea Pigs can’t produce their own Vitamin C, so this has to be supplemented in their diet. The best way for them to get this is by feeding them green vegetables and some fruits. It is also important that your Guinea Pig receives the correct amount of calcium in his or her diet. Too much calcium can cause bladder stones and too little calcium can cause paralysis. Guinea Pigs should always have clean, fresh water available to drink. Regular weighing of your Guinea Pig is a useful aid to correct feeding. The aim is to keep adults at a constant weight. Changes to your Guinea Pigs diet should be made gradually so as not to upset their digestive system.